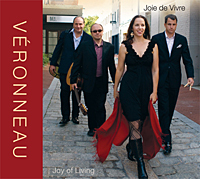 From the the new Veronneau CD, Jazz Samba Project. The album was inspired by the 1962 megahit, Jazz Samba recorded 50 years ago by Stan Getz and Charlie Byrd. 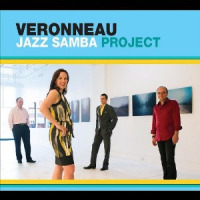 After a year of collaborative research, Veronneau staged a huge Jazz Samba Golden Anniversary event there on May 20, 2012, including a concert and panel discussion. The historic album was credited with merging the music of two hemispheres. While today, the enticing sounds of Brazil are ubiquitous, it wasn’t always so. The new Veronneau album presents three tunes from the 1962 recording and includes some enormously popular bossa nova tunes that followed. It also introduces unexpected and enjoyable bossa nova treatments of contemporary jazz and pop classics, and showcases the latest original from band member David Rosenblatt. 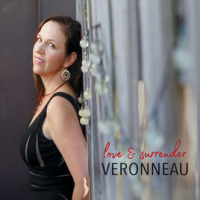 Listeners will be awed by the beautiful Portuguese, English and French lyrics sung by French Canadian vocalist Lynn Véronneau. E Luxo So; Waiting In Vain; September Moon; Mas Que Nada; Meditation; One Note Samba; Samba Saravah; Samba Triste; Autumn Leaves; Wave. Lynn Veronneau: vocals; Ken Avis: acoustic guitar, vocals; David Rosenblatt: acoustic guitar; Pete Walby: drums; Jeff Antoniuk: tenor saxophone (1, 6, 8, 10); Alejandro Lucini: percussion; Jim McFalls: trombone (1-5, 9).